You�re viewing our Weston freezer paper kit. The Weston freezer paper kit includes everything you need to prepare meat for storage. 18" x 300' roll freezer paper protects meat from freezer burn and bacteria. The sanitary poly-coating on the paper prevents meat from sticking to the paper while freezing or thawing. 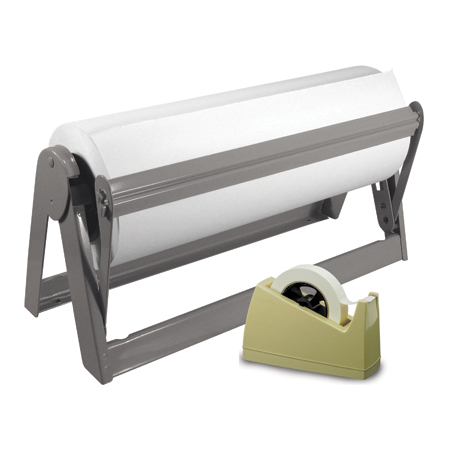 The sturdy freezer paper dispenser with spring-loaded cutting blade and legs with predrilled holes allows for easy mounting onto the table or wall. It includes dispenser, 1 tape roll and paper. 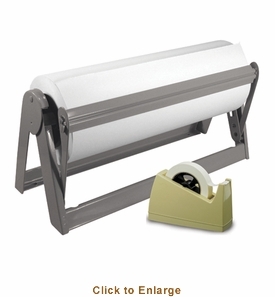 Heavy Duty Freezer Paper Roll: Protect meat from freezer burn and bacteria while in storage. Sanitary, poly-coating provides the best protection for meat and prevents the paper from sticking to the meat while freezing or thawing. Freezer tape Dispenser: 3/4" dispenser comes with one 44 yard roll of tape. Weighted base with rubber bottom prevents sliding. Freezer tape: Replacement Rolls � 4 pack, can also be used without the dispenser. 3/4" x 44 yards. Replacement Rolls not included. Dimensions 21L" x 9W" x 3H"